We’re so excited to announce the launch of the 30Second Mom Favorites awards program! Here’s a quick summary of what the program is all about, and how you can participate. Have a question about it? Contact Us! Q. What is the 30Second Mom Favorites awards program? A: There are so many products for families, and so much noise and clutter on social media and blogs, that it’s hard to know what’s a worthwhile product and what’s not. 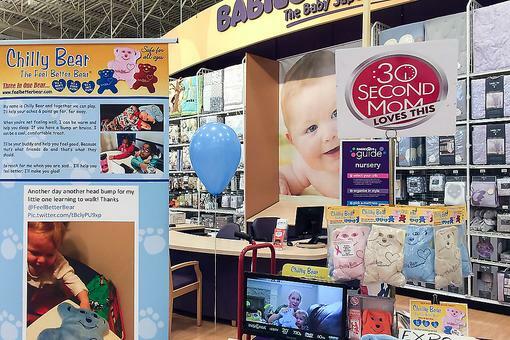 The 30Second Mom Favorites awards program identifies the “must-have” items for expectant, new and experienced parents and their families, and then shares them with our audience, social networks and the media. By earning an award, a company can use the 30Second Mom award seal that matches its product’s award-winning status, allowing it to stand out in the crowded digital and retail marketplace. By looking for 30Second Mom award seals on products, promotional materials and digital properties, parents will know which items we Like and Love, and which ones are our Favorites! Q. Why did you start the 30Second Mom Favorites program? A: We know that parents are busier than ever, and they rely on their mobile devices to search for information and product reviews. In fact, 61 percent of U.S. moms own a smartphone (Arbitron & Edison Research), half of all moms use mobile devices to access social networks (eMarketer), and moms spend an average of 6.1 hours a day with their smartphones (BabyCenter) – wow! When searching reviews and shopping online and via mobile, parents need a source they can turn to for quick and credible reviews and referrals to products they can trust. 30Second Mom is the on-the-go parent’s guide for great information. In response to our audience’s requests for credible information on products for their families, 30Second Mom now accepts submissions from companies who wish to have their product reviewed by 30Second Mom. We developed the Favorites awards program in order to have a credible process for reviewing products and determining award levels. Q. What are the Favorites program award levels? A: There are three levels of awards in the Favorites program. If we Like a product, it’ll earn the 30Second Mom “Likes This” bronze award. If we feel even more strongly about it, it may earn the 30Second Mom “Loves This” silver award. Then, each season, we’ll review all of our Likes This and Loves This items to determine our Favorites. This is an exclusive collection of the most desirable products we reviewed that season, and only our Favorites earn the 30Second Mom “Favorite” gold award! Our Favorites will be featured quarterly in media releases and product guides on 30Second Mom. Q. What happens if a product does not earn an award? A: If a product does not earn a Likes This or Loves This award, the company will be notified and nothing further will occur. Because 30Second Mom wants to only promote companies we believe in, products that do not earn our Likes This, Loves This or Favorite awards will not be featured on 30Second Mom, and we also will not share which products were not recognized with an award by 30Second Mom. Q. How much does it cost to submit a product to the Favorites awards program? A: It’s easy and economical to participate in the Favorites awards program. The submission fee is only $300 per product, and we require three identical samples of the product for our reviewers. In general, 30Second Mom reviews products that would be of interest to our audience of expectant, new and experienced parents and their families. Q. How can a company submit a product to the Favorites awards program? A: If you’d like to submit a product, simply Contact Us and tell us a bit about your product. We’ll be in touch soon to explain how the process works. If you’re a parent who would like to suggest a product to us, please Contact Us. We love hearing about quality products for families! Have more questions about the 30Second Mom Favorites program? Check out our FAQ. Go Play! 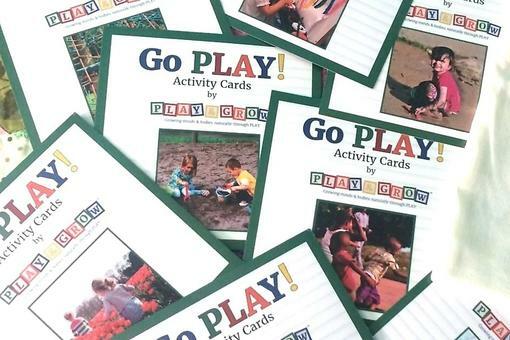 Activity Cards: Play & Grow's Activity Cards Are Fun, Educational and Earned the 30Second Mom Loves This Award! Announcing #30SecondMom Favorites Awards: Must-Have Products for #Parents!